The newest member of the Galaxy family has been announced yesterday and you can get your hands on one for free – courtesy of T-Mobile. 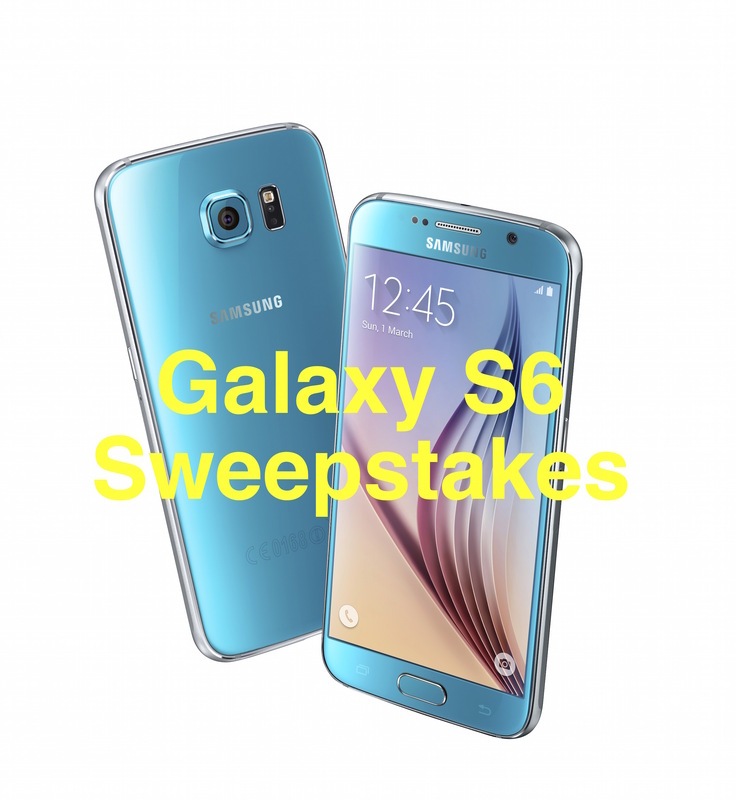 T-Mobile is having a sweepstakes with a huge grand prize package consisting of: Samsung Galaxy S6 Edge, Samsung Curved Smart TV, Samsung Gear S, Samsung Galaxy Tab S, Samsung Gear Circle, Samsung Sound Bar with Wireless Sub, and Samsung Wireless Charging Pad. Yup – enough Samsung gear to turn anyone into a fanboy for life. 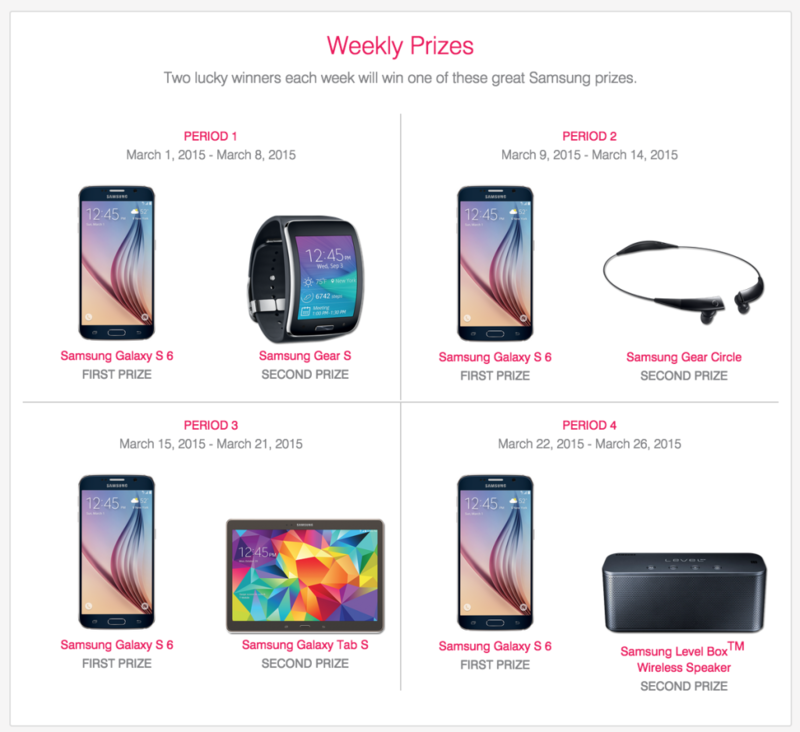 To enter, just click to go to the T-Mobile site and pre-register for the S6. Yup, another reason to love T-Mobile. We currently use the $30 T-Mobile prepaid plan which comes with 5GB of 4G. 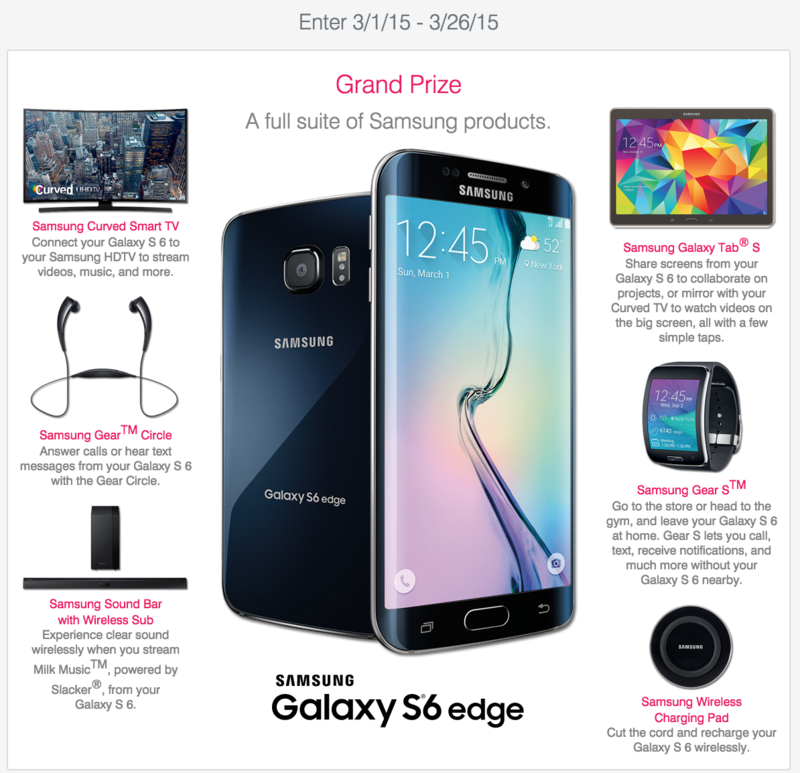 If you want to sign up for a T-Mobile plan – click here! PS. We love giveaways. Have you checked out the HTC One M9 giveaway?